According to earlier reports, official figures confirm five deaths in Kasganj while sources claim another five deaths in Barabanki, which has not been officially confirmed. The official death toll on district-wise is Kasganj five, Bulandshahr three, Ghaziabad and Saharanpur two each and Etawah, Kannauj, Sambhal, Hapur and Gautam Buddha Nagar one each. Thirteen people have been injured in Sambhal, five in Auraiyya and two in Bulandshahr while Kasganj, Kannauj, Hapur, GB Nagar and Saharanpur have also reported the injury to one person in these districts. 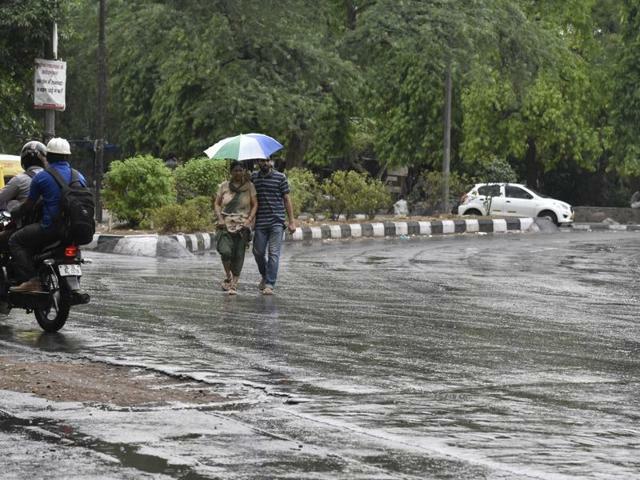 The state administration is on high alert as the Met department has predicted more thunderstorms for 26 districts on Monday. This time the alert is for the districts of eastern Uttar Pradesh and Indo-Nepal border, including Bahraich, Shrawasti, Balrampur, Gonda, Siddhartha Nagar, Maharajganj, Kushinagar, Ambedkarnagar, Gorakhpur, Sant Kabir Nagar, Basti, Faizabad, Sultanpur and Azamgarh. In view of the anticipated freak weather, the district magistrates have cancelled all holidays of the revenue staff and instructed them to remain present in their respective areas. Similarly, state Relief Commissioner Sanjay Kumar has asked the district magistrates of the affected districts where Sunday's thunderstorm has caused loss of life and damage to property to stay back in their respective districts to supervise the relief work. On Monday, district-level officials, including DMs of 24 most vulnerable and 16 vulnerable districts, were scheduled to attend a meeting on flood management to be presided over by Chief Minister Yogi Adityanath.